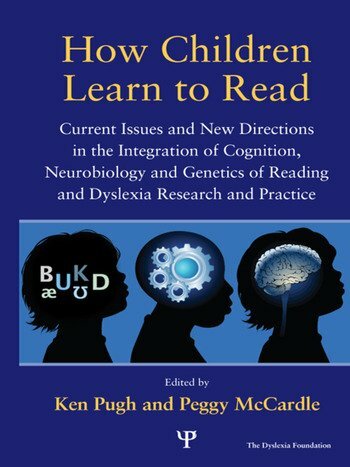 This book brings together in one volume information about the neurobiological, genetic, and behavioral bases of reading and reading disabilities. In recent years, research on assessment and treatment of reading disability (dyslexia) has become a magnet for the application of new techniques and technologies from neuroscience, cognitive psychology, and cognitive neuroscience. This interdisciplinary fusion has yielded numerous and diverse findings regarding the brain basis of this syndrome, which are discussed in this volume by leading researchers. Intervention approaches based on such research are presented. The book also calls for research in specific directions, to encourage the field to continue moving into the bold frontier of how the brain reads. The volume is essential reading for a range of researchers, clinicians, and other professionals interested in reading and reading disability, and also commemorates the tenth anniversary of the Extraordinary Brain Conferences hosted by The Dyslexia Foundation. W. Baker, Preface. P. McCardle, N. Landi, K. Pugh, Introduction. Section 1. Major Themes in the Study of the Neurobiology of Dyslexia. S. Frost, R. Sandak, W.E. Mencl, N. Landi, J.G. Rueckl, L. Katz, K. Pugh, Mapping the Word Reading Circuitry in Skilled and Disabled Readers. G. Rosen, Y. Wang, C.G. Fiondella, J.J. Lo Turco, The Brain and Developmental Dyslexia: Genes, Anatomy, and Behavior. G. Sherman, C. Cowen, From Research Lab to School Front Lines: Talents and Dilemmas in Children with Learning Differences. Section 2. Methods and Tools. D. Francis, Methodological Advances in Developmental Research. E. Mencl, S. Frost, K. Pugh, Tools for Multimodal Imaging. J. Rueckl, M. Seidenberg, Computational Modeling and the Neural Bases of Reading and Reading Disorders. E. Grigorenko, A.J. Naples, The Devil is in the Details: Decoding the Genetics of Reading. Section 3. Neurobiological, Genetic, and Cognitive Aspects. F. Ramus, G. Szenkovits, Understanding the Nature of the Phonological Deficit. P. Cornelissen, Visual Word Recognition: Insights from MEG and Implications for Developmental Dyslexia. L.E. Cutting, S.H. Eason, K. Young, A.L. Alberstadt, Reading Comprehension: Cognition and Neuroimaging. R. Olson, B. Byrne, S. Samuelsson, Reconciling Strong Genetic and Strong Environmental Influences on Individual Differences and Deficits in Reading Ability. R. Frost, Reading in Hebrew vs. Reading in English: Is there a Qualitative Difference? Section 4. Intervention. B. Foorman, S. Al Otaiba, Reading Remediation: State of the Art. L. Siegel, Remediation of Reading Difficulties in English Language Learning Students. M. Wolf, S. Gottwald, W. Galante, E. Norton, L. Miller, How the Origins of Reading Instruct our Knowledge of Reading Development and its Intervention. P. McCardle, K. Pugh, Integration of Methodologies in Cognitive Neuroscience: Research Planning and Policy.